History: At the beginning of 2007 we asked all current LAM Board Members to submit abbreviated biographies so that our members would have some idea who was behind the name. We have decided to not only continue that tradition, we have now opened up the submission process to all members who would like to have an online biography. Submissions from past LAM Board Members and historically significant members are especially welcome. 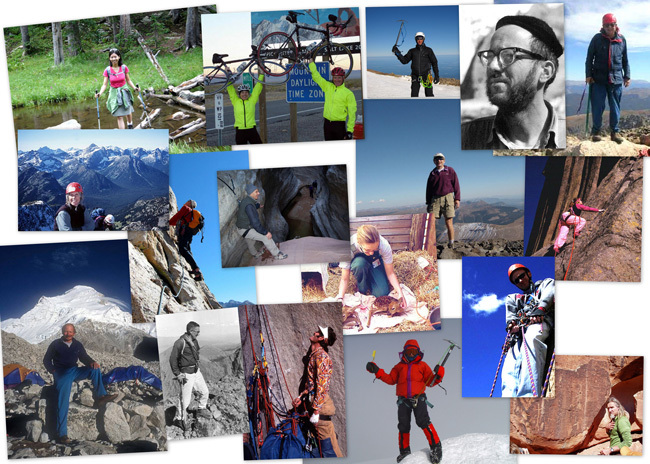 Submission: If you are a member and would like to have an online "Abbreviated Biography" please feel free to submit a short biographical profile, heavy on your outdoor interests and activities, with no more than three photos. If you login and "Create new content" you can make your own new biography . Please look at the biographies below to get a sense of how to write your profile. Please upload full resolution photos with at least one close up view showing your face, and put your text in the email body. Feel free to add links to other personal web pages, blogs, or photo galleries. The webmaster can help with photos after you upload your text bio.